The three Pillars of the Concordia Veterans Association are based on the most successful programs developed within the American universities, adapted to fit the realities faced by Canadian veterans here at home. They reflect the most urgent needs expressed by our veterans, and will provide effective support and promote a better understanding of veterans issues. This is our first line of defence, and is the core of our association. Connecting veterans in order to succeed in their academic careers. The university environment can often seem hostile to veterans. It is common to feel unwelcome as a result of the stigma and prejudice sometimes associated with military service. Combined with a much different life experience compared to the rest of the student population, veterans have a tendency to isolate themselves as they don't feel a sense of belonging. This means a veteran who is suffering from a mental health crisis or who is struggling academically will go unnoticed, and not be provided the help he needs. Our Peer Support program helps address the consequences of this reality. 1) Connect veterans in order to re-establish the sense of family lost since leaving the military. This will help maintain motivation and provide a sense of belonging within the university. 2) Promote the welfare of veterans attending the university by detecting struggling veterans early, and connecting them with available resources. This will help keep veterans on track, and prevent them from becoming another statistic. 3) Connect members undergoing similar fields of study in order to assist each-other throughout their studies. This mentorship scheme will allow veterans to adapt much more quickly to the academic environment, and motivate them to improve their academic performance. This is how the CVA seeks to provide the tools for academic and professional success to veterans throughout their career change. Skills such as how to write an essay and proper study habits can fade quickly as a result of a career in the military. As well, students are expected to navigate the myriad of programs and resources available to them, where a soldier is accustomed to referring to his chain of command. This change is lifestyle can be difficult for some, and the CVA hopes to provide the assistance required in order to facilitate the change. 1) Consolidate all the financial, academic, and health support services into a relevant and easy to access system that students can access. Used in conjunction with our mentorship program, students need only describe their situation to the CVA, and we connect them with what they need to succeed. 2) Hold conferences in order to develop skills entering university, and how to prepare for entering the workforce upon graduation. This will help veterans succeed academically, and connect them with companies eager to hire the skill sets and experience unique to military veterans. 3) We hope to eventually provide scholarships and emergency funds for struggling veterans attending the university. This will provide veterans with the ability to address any mental health crisis or struggles in a healthy and supported manner, preserving their academic careers and promoting success. This is our most challenging Pillar, but the one with the most potential to secure a better future for veterans. We hope to raise awareness of the challenges faced by veterans as a result of their military service, and adapt school policy in order to reflect their reality. Experiencing a mental health crisis is similar to going into free fall. It's an incredibly isolating and fearful experience, one which can feel impossible to get out of. Those suffering may hope for someone to help them, but they are simply unable to reach out and grab hold of those who could provide it. As well, the stigmas surrounding mental health still have a profound impact on how our society views those suffering. This reality is perhaps the most important contributor to the fearful statistics surrounding veterans returning to post-secondary education. 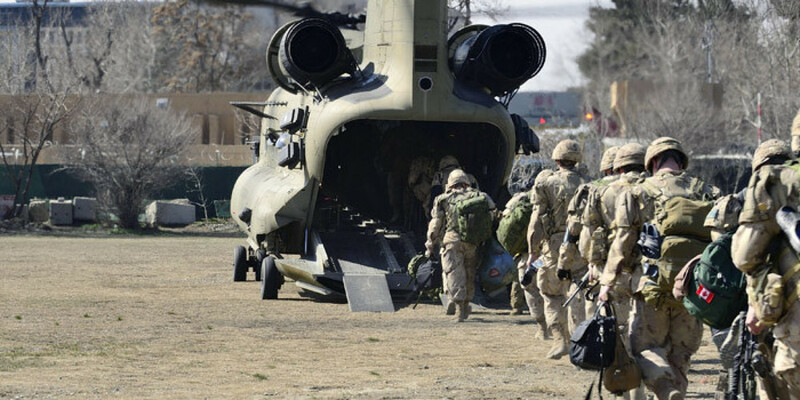 With 88 per cent of veterans dropping out in their first year, and being seven times more likely to commit suicide than the general student population, something has to change. 1) Adapt the deferral process to reflect the reality of those suffering from a mental health crisis. Asking them to go to the doctors office, wait in line, and provide a signed note legitimizing their suffering when they can barely get out of bed and feed themselves, is an unrealistic expectation. 2) Seek accreditation of military service as electives or specific equivalencies for courses. With the vast life and leadership experienced gained by those who've served, taking basic courses can be demoralizing and deter a student from continuing his studies. By recognizing certain aspects of their experience with academic credits, the university will motivate and support soldiers to succeed and advance to their new careers. 3) Change the stigma regarding mental health. In conjunction with partner associations, the CVA hopes to change the public perception of mental health issues by holding awareness events and public seminars on the subject. With so many veterans taking their lives, afraid to reach out for help, it is vital this stigma is removed.